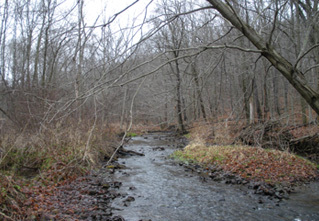 Western Reserve Land Conservancy and the Little Beaver Creek Land Foundation are teaming up to protect land in the Little Beaver Creek watershed. The Land Conservancy and LBCLF will co-hold a conservation easement permanently preserving 135 aces in Columbiana County’s Elkrun Township. 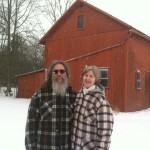 Bruce and Debbi MacLellan granted the conservation easement and will retain ownership of the property. A conservation easement is an agreement in which a property owner permanently protects a parcel by prohibiting or limiting future development. Such an easement ensures that the natural, agricultural and scenic resources of the property will be protected forever. This was Western Reserve Land Conservancy’s first project in Columbiana County. The Land Conservancy has preserved 333 properties and 21,402 acres in northern Ohio. “The MacLellans have a deep love of their land and want to see this beautiful property preserved in perpetuity,” said Scott Hill, Eastern Field Director for the Land Conservancy. The Little Beaver Creek Land Foundation has protected more than 4,300 acres in the Little Beaver Creek watershed. “They have done a tremendous job, and we are honored to have them as conservation partners,” Hill said. LBCLF President Carol Bretz said her organization was gratified to work with the Land Conservancy on the easement. 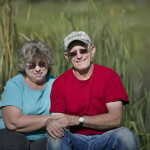 “The Land Conservancy has many resources that our small land trust does not. I believe this initial collaboration can lead to future shared endeavors and we look forward to a continued relationship with the Land Conservancy,” she said. 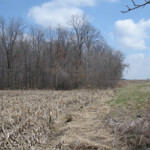 The heavily forested property, which is on the northern edge of “unglaciated Ohio,” is in the county current agricultural use value (CAUV) program for property taxes. 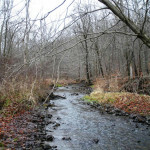 The conservation easement drafted by the Land Conservancy permanently preserves the quality managed forests on the property and will help protect Little Beaver Creek. Western Reserve Land Conservancy, which works to protect the scenic beauty, rural character and natural resources of northern Ohio, was formed in 2006 by the merger of eight local land trusts. The Land Conservancy’s service area covers 14 counties. In December, another local land trust, Grand River Partners, became part of the Land Conservancy.